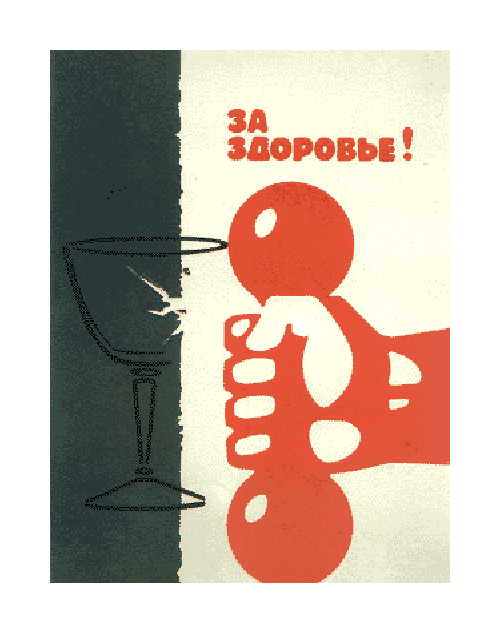 In 1914, the Russian Empire banned the sale of hard liquor everywhere except in restaurants. If the start of World War I wasn’t bad enough for the Russians, the prohibition of retail sales of vodka made it much worse. As if persecution wasn’t a bad enough consequence, Russian Prohibition Propaganda Posters began popping up everywhere. Despite the fact that they were dispelling something I would never agree with, the posters themselves were pretty cool to look at. Here are 21 posters translated by someone who doesn’t know more than Zdravstvujtye. Ever play drinking games? Here’s one to try. Finish all the alcohol before the sand timer runs out and the glass breaks. If you win, you get drunk. Yay! Could Money Actually Affect Your Love Life?